If you're a designer looking for a method to enable users to select multiple items - your search is over. 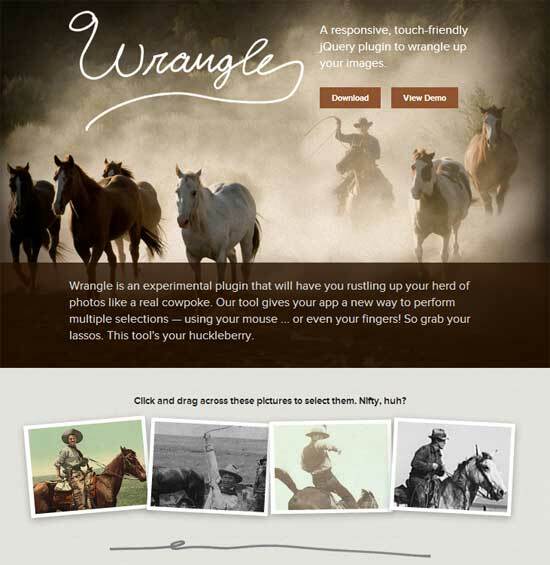 Zurb's Wrangle is a responsive, touch-friendly (yes, you read that correctly) selection plugin for jQuery or Zepto. The plugin makes it possible for users to draw a line through items to select them; it's a terrific way to enable users to perform multiple selections with their mouse, their finger, even a stylus. While the plugin is experimental, our own tests showed it was ready for prime time - much like other Zurb projects we've featured at Website Magazine including the TwentyTwenty plugin.